Condensation forming on the exterior wall, due to a lack of heating and ventilation. 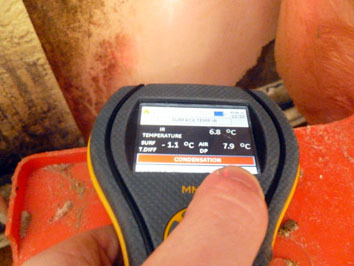 We see in this photo that the moisture meter has returned a reading that states condensation is currently forming on this wall at the time of inspection. 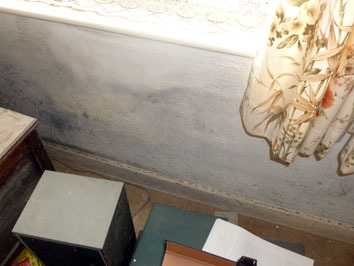 The wall of this property was of cavity wall construction, so this shows that it is not only solid construction walls that are prone to condensation, but also cavity walls!